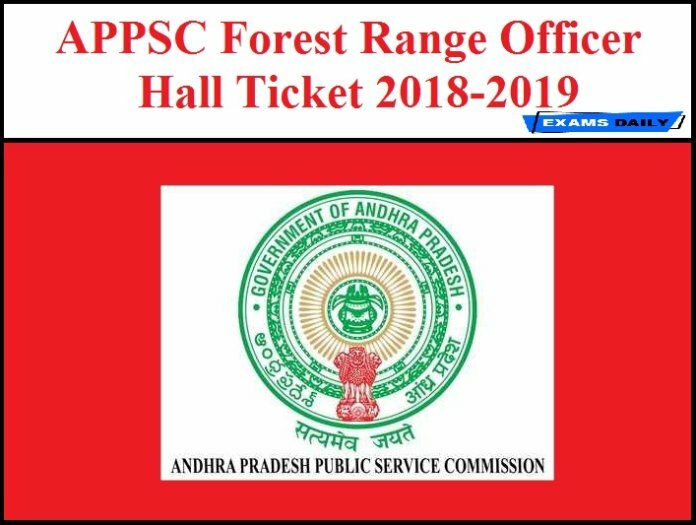 Andhra Pradesh Publice Service Comission (APPSC) has Released Notification for 24 Forest Range Officer Posts. APPSC has postponed the Exam Date from 19.05.2019 Now, the Commission decided to conduct Screening Test through online (CBT) on 28.05.2019 Forenoon in English medium only. Based on the Screening Test selected Candidates can attend the Main Examination will be held on 28/04/2019, 29/04/2019 and 30/04/2019 14.05.2019,15.05.2019 and 16.05.2019 (Mains) in CBT Mode. The Screening Test & Main Examination Syllabus for the post of Forest Range Officer (FRO). APPSC will be released the Screening Test Examination Hall Ticket for FRO Posts before 10 days to the Examination. Candidates can download the Hall Ticket/Admit Card from the following link. Candidates those who are applying for the Exam can visit our website regularly for more updates.